Nkechi was a good Nigerian-American girl. She did everything right. Went to med school. Made plans. Then life happened. And plans changed. 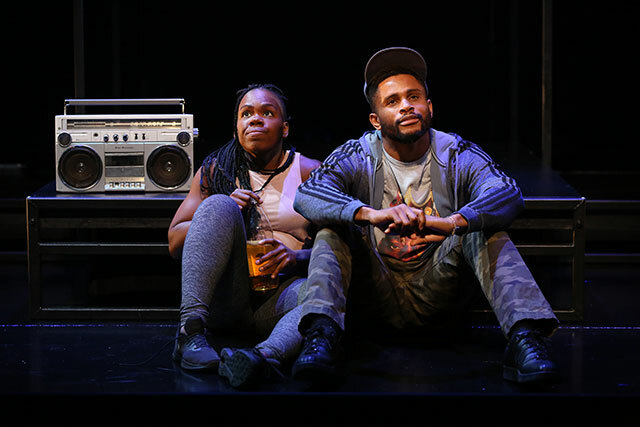 A first-generation coming-of-age journey of love, loss, and growing into adulthood, GOOD GRIEF follows Nkechi as she navigates Pennsylvania’s suburbs alongside her childhood crush, her would-be-philosopher brother, and her immigrant parents. 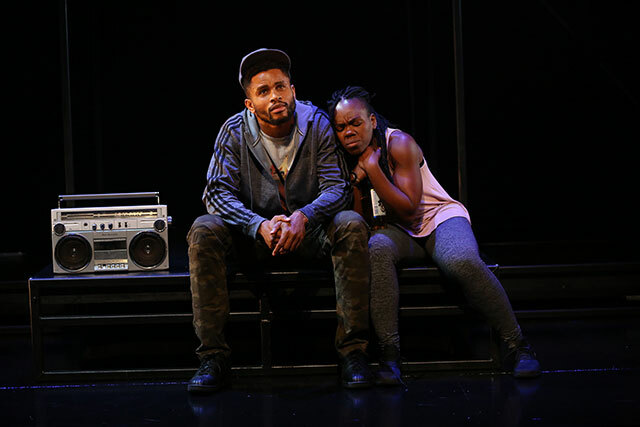 Hailed as a “profound dramatic work” by LA Weekly, this hilarious and heartbreaking new play reunites playwright Ngozi Anyanwu and director Awoye Timpo following their acclaimed collaboration on THE HOMECOMING QUEEN. ‘GOOD GRIEF’ IS TENDER AND AFFECTING! A SWEET AND SORROWFUL PLAY. “EMOTIONALLY ASTUTE AND GENUINELY FUNNY! ⭐⭐⭐⭐ “GOOD GRIEF’ GIVES YOU A TINGLE, LIKE A GOOD HOOK IN A POP SONG. “RICH PERFORMANCES! HEARTFELT AND WELL-PERFORMED. A SENSITIVE EXPLORATION OF GRIEF AND REGRET. “TOUCHING AND TENDER! THE CAST IS EXQUISITE. “GOOD GRIEF IS LYRICAL AND HUMAN. IT IS A SHOW THAT IS WORTH SEEING! Nkechi was a good Nigerian-American girl. She did everything right. Went to med school. Made plans. Then life happened. And plans changed. 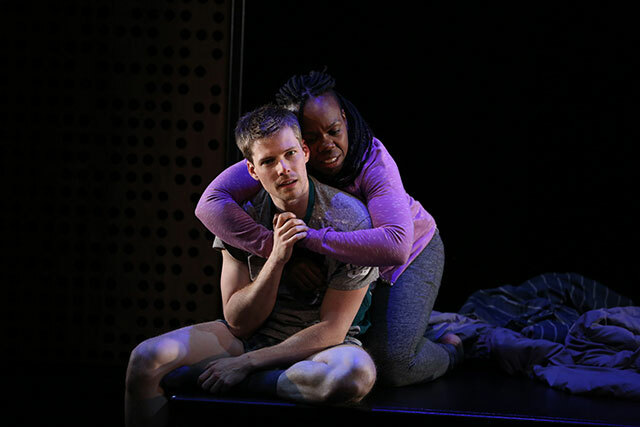 A first-generation coming-of-age journey of love, loss, and growing into adulthood, GOOD GRIEF follows Nkechi as she navigates Pennsylvania’s suburbs alongside her childhood crush, her would-be-philosopher brother, and her immigrant parents. 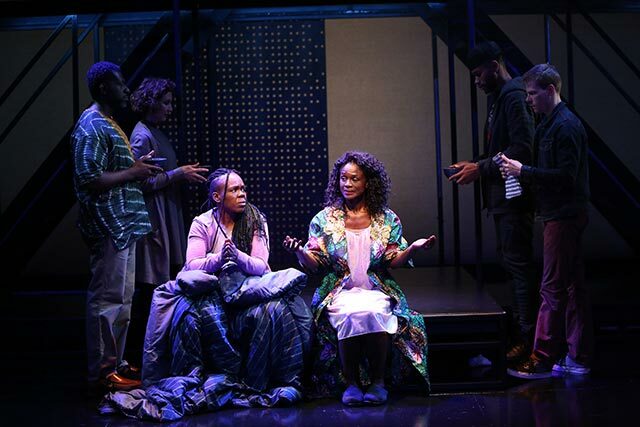 Hailed as a "profound dramatic work" by LA Weekly, this hilarious and heartbreaking new play reunites playwright Ngozi Anyanwu and director Awoye Timpo following their acclaimed collaboration on THE HOMECOMING QUEEN. ⭐⭐⭐⭐ “GOOD GRIEF' GIVES YOU A TINGLE, LIKE A GOOD HOOK IN A POP SONG. Vineyard Theatre debut. Theatre: A WINTER’S TALE, MEASURE FOR MEASURE, PERICLES (TFANA); The HOMECOMING QUEEN (Atlantic Theater), UNCOMMON SENSE (Tectonic Theater Project), PARTY PEOPLE (The Public), 12 ANGRY MEN (Billie Holiday), TAMBURLAINE (TFANA), LIKE I SAY, CELLOPHANE (The Flea); MOTHER COURAGE AND THE THE BLACKS (Classic Stage, CTH); SANGO (AUDELCO nomination/NBT). 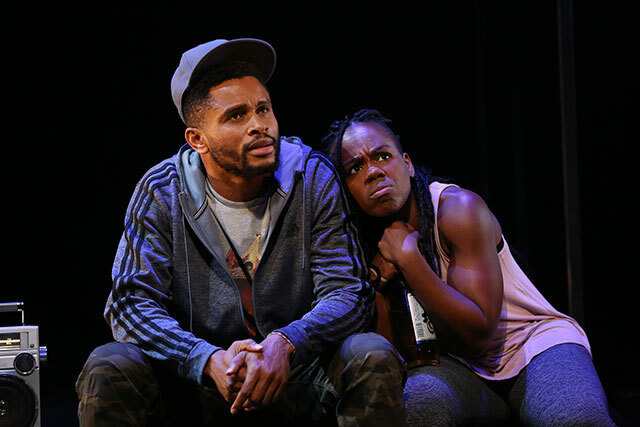 Regional: CIVIL WAR CHRISTMAS (Center Stage), ELECTRIC BABY (Two River Theater), GOOD GOODS (Yale Rep), RUINED (La Jolla Playhouse, Huntington Theatre Company; IRNE Award, Berkeley Rep); TIMON OF ATHENS, CORIOLANUS (Shakespeare Theatre). TV/Film: “Blacklist,” “The Knick,” Crown Heights. Training: BADA and Howard University. Vineyard Theatre debut. Acting: The Pittsburgh Public Theatre, The City Theatre, Barrington Stage, Rattlestick Playwrights Theater, and The Mark Taper Forum. TV: “Limitless,” “Deadbeat,” “The Affair,” “Law & Order: SVU,” “The Mysteries of Laura,” and “The Deuce.” Film: Split and Women Who Kill. 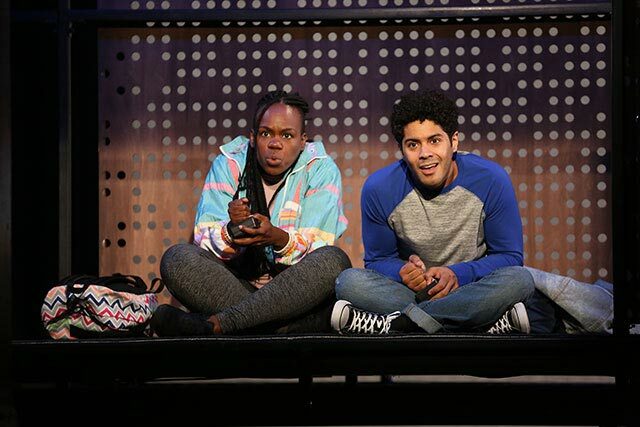 Playwriting: GOOD GRIEF (Kilroys List 2016, semi finalist Princess Grace, Humanitas Award) was produced at Center Theatre Group in Los Angeles in Spring 2017. NIKE... (Kilroys List 2017) was recently workshopped at The New Black Fest in conjunction with The Lark and The Strand Festival, in conjunction with A.C.T and Space on Ryder Farm. 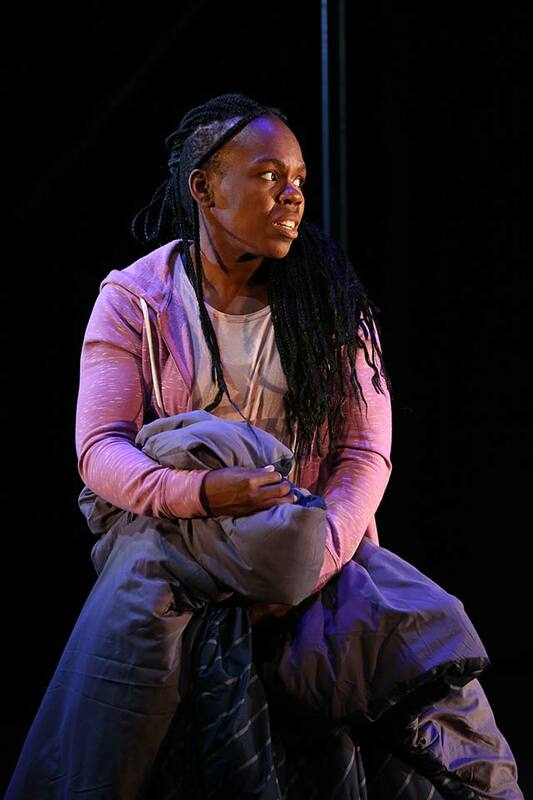 THE HOMECOMING QUEEN recently premiered at Atlantic Theatre to a sold-out run. Anyanwu has received residencies from LCT3, Space on Ryder Farm, the Djerassi Resident Artists Program, The New Harmony Project, New York Stage and Film, and Page 73. Anyanwu is developing a pilot with Juvee Productions and ABC Signature. Education: UCSD (MFA Acting), Point Park University (BA). Vineyard Theatre debut. Ian started his career on the stage as a child actor in the Broadway cast of THE LION KING. He can currently be seen in the critically-acclaimed National Geographic miniseries “The Long Road Home.” Other notable work in television: “Orange Is The New Black,” “Sneaky Pete,” “Gotham,” “The Carrie Diaries,” and “The Family.” Born and raised in New York City, Ian graduated from Fordham University with a BA in Theatre Performance. Vineyard Theatre debut. 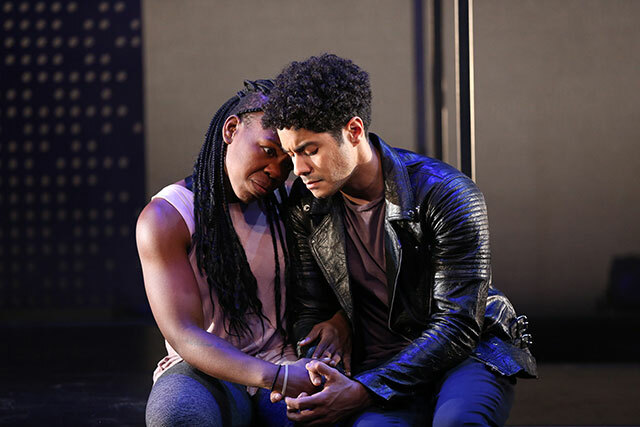 Most recently seen as the Angel in ANGELS IN AMERICA at Berkeley Rep, and Blanche Dubois in A STREETCAR NAMED DESIRE at the Ubuntu Theater Project. 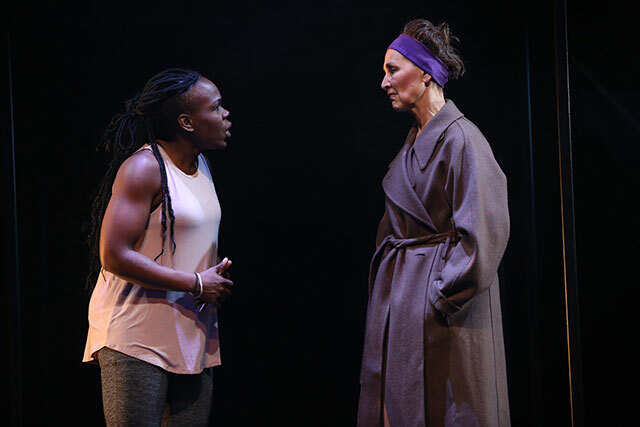 Lisa has performed at the Cherry Lane Theatre, Atlantic Theater, Working Theater, Berkeley Rep, Ubuntu Theater amongst others. 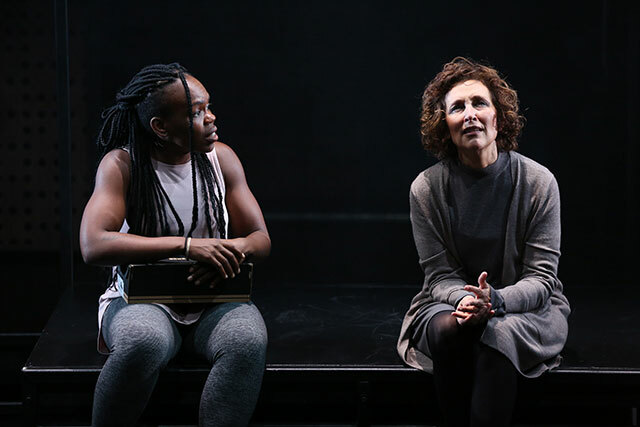 Her plays EXIT CUCKOO (nanny in motherland), ART OF MEMORY, TO THE BONE, and PAS DE DEUX (lost my shoe) have been performed in New York and regionally to great acclaim. This one is for her brother, Sean Ramirez. 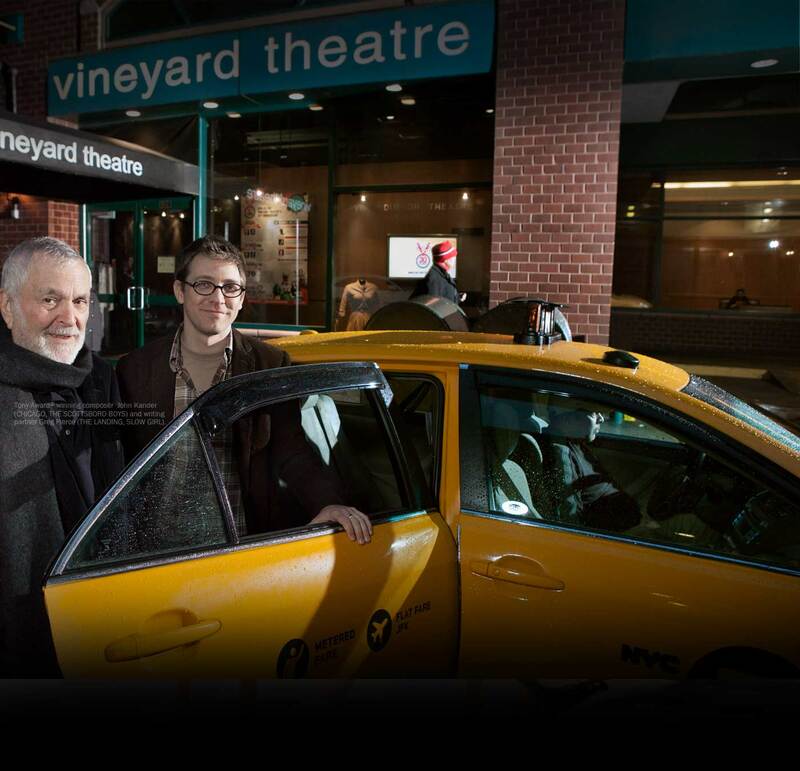 (Director) Vineyard Theatre debut. 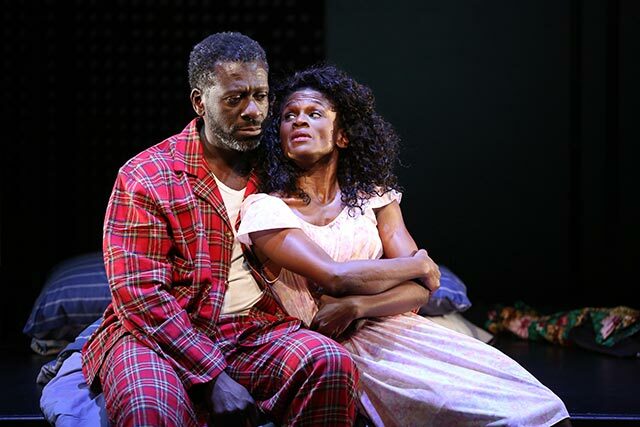 THE REVOLVING CYCLES TRULY AND STEADILY ROLL’D (Playwrights Realm), THE HOMECOMING QUEEN (Atlantic Theater), SKELETON CREW (Chester Theater), SISTER SON/JI (Billie Holiday Theater), CARNAVAL (National Black Theatre), NDEBELE FUNERAL (59E59, South African tour, Edinburgh Festival), THE LIBATION BEARERS (Shakespeare Theatre of NJ), IN THE CONTINUUM (Juilliard). Producer: CLASSIX, a reading series exploring classic plays by Black playwrights. Broadway: Associate Director, JITNEY. Other: Associate Director, OTHELLO (Shakespeare in the Park), ABC/Disney, Cherry Lane, Ma-Yi, New Dramatists, NOW Africa, PEN World Voices, Royal Shakespeare Company, Lincoln Center Directors Lab, Soho Rep Writer/Director Lab, WNYC. Upcoming: PARADISE BLUE (Long Wharf). Audible is the leading provider of premium digital spoken audio content, offering customers a new way to enhance and enrich their lives every day. 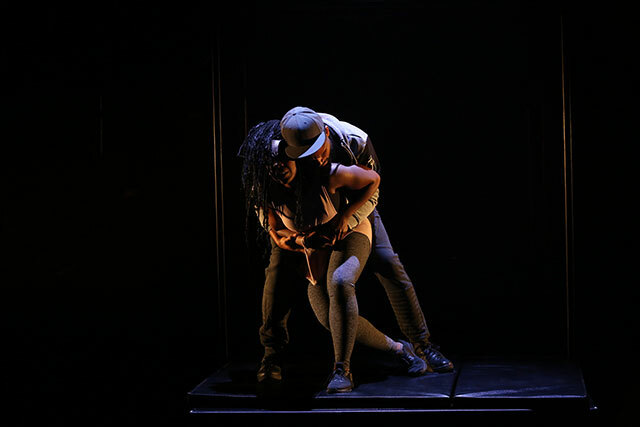 To unleash the power of the spoken word, Audible pairs outstanding talent with great works, developing and producing theater projects in the studio and onstage to amplify innovative language-driven storytelling and extraordinary performances. Our Emerging Playwrights Fund invests in playwrights around the globe whose work can be heard by millions of Audible listeners. Audible’s inaugural productions: Off-Broadway, David Cale’s HARRY CLARKE, starring Billy Crudup at the Vineyard Theatre; Broadway, LATIN HISTORY FOR MORONS, written by and starring John Leguizamo. 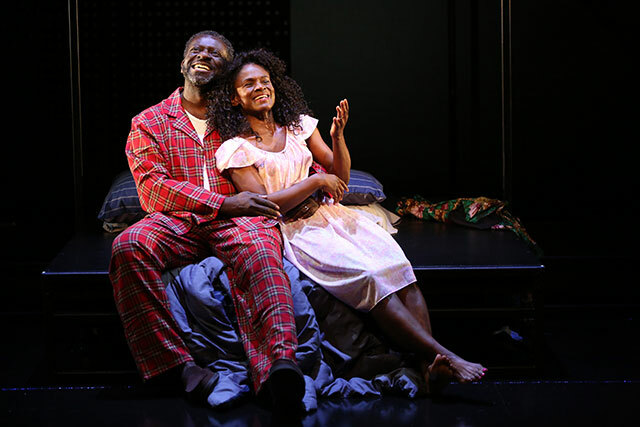 Theatre Artistic Directors Douglas Aibel and Sarah Stern announce complete cast for the New York premiere of Ngozi Anyanwu’s GOOD GRIEF, directed by Awoye Timpo. 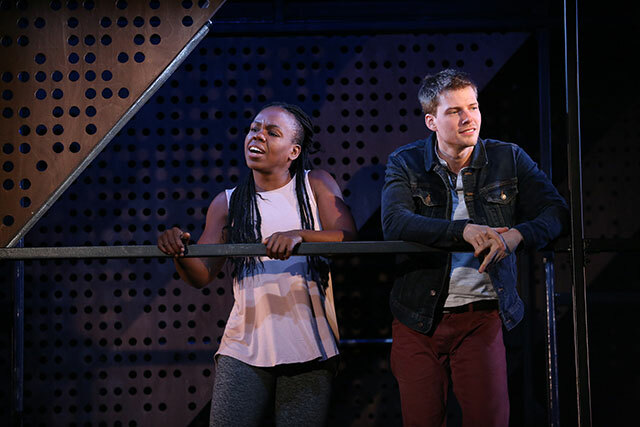 Performances will begin at the Vineyard Theatre (108 East 15th Street) Thursday, October 11 with opening night set for Tuesday, October 30th.